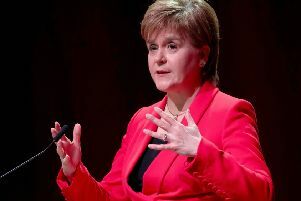 NICOLA Sturgeon has warned pro-UK politicians they have no right to oppose a second Scottish independence referendum when her SNP convinces a majority of Scots their future should lie outside of the UK. She accepted it would be “wrong” for a second ballot to be held without evidence most people back independence. But the First Minister and SNP leader told nationalists: “if we do succeed – when we do succeed” in achieving that, “no politician will have the right to stand in the way”.